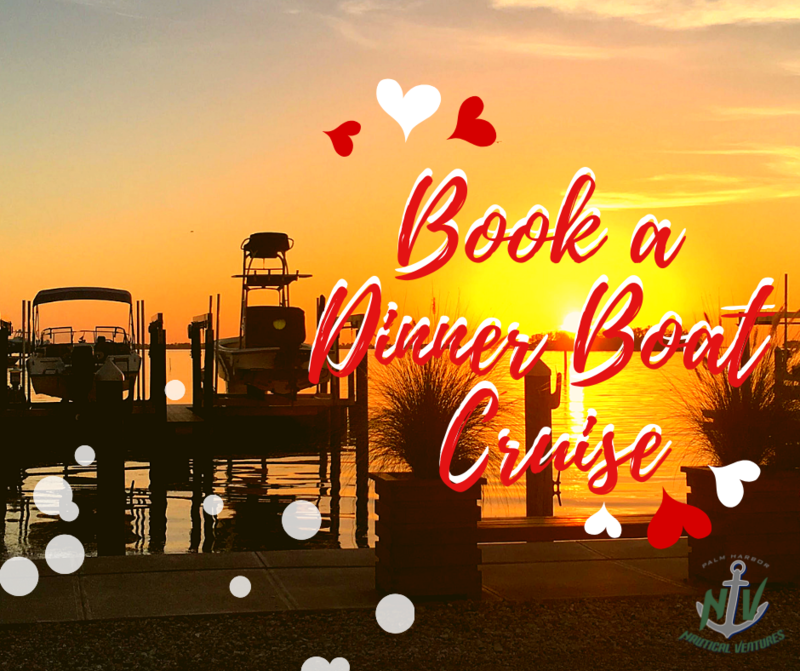 PHNV offers a dinner boat cruise for people wanting to spend quality time with each other on a more intimate level than the large, often overcrowded dinner cruises. This is a private cruise just for your family/friends (max 6 guests), where you will enjoy amazing views while aboard our vessel. Whether you are looking to spend time with your loved ones or want to celebrate a small corporate event, PHNV dinner boat cruise will benefit you exceedingly. Simply wine and dine, and enjoy an exquisite night out with your group. Dinner options include our Destination Dining experience, where Captain Rich will transport you in style to one of our favorite local waterfront restaurants. Once you have finished your meal, we will make sure you get back safely to our starting point… and is we time it just right, we might just catch a beautiful sunset on the ride home! If you prefer to spend more time on the boat, we welcome you to bring your own picnic style dinner aboard for your journey so you can wine and dine with cruising! The Captain is also able to arrange a catered meal experience aboard the boat for an extra fee. With such a romantic backdrop and the gentle breeze, surely you can have the best time of your life!